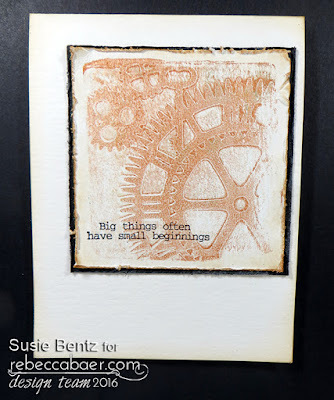 Stencils and Gelli plates are perfect partners! I have another bit of mixed media mono-printing inspiration for you today, showing you how to pull a second print when you are working with a stencil. 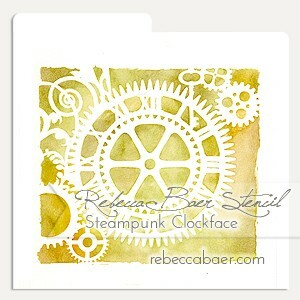 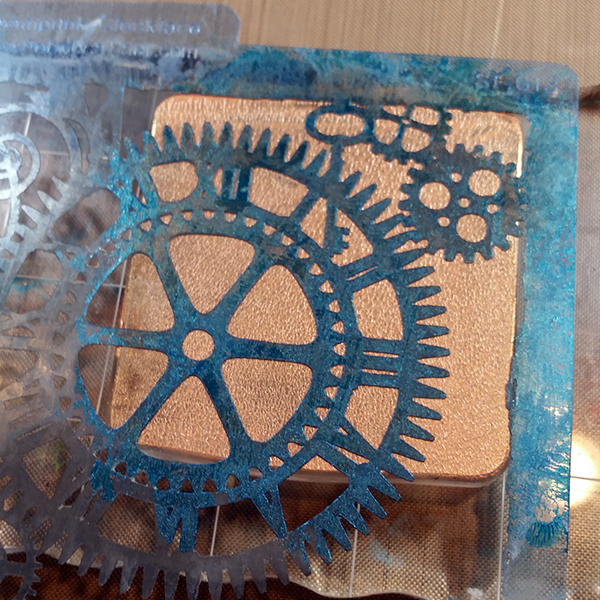 I used the small sized Rebecca Baer stencil, Steampunk Clockface. 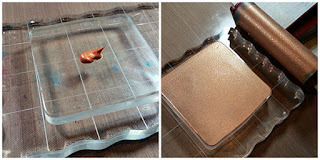 I started by placing the 3" square Gelli Arts Mini Printing Plate onto an acrylic block and spreading metallic copper acrylic paint evenly over the surface using a brayer. I placed Rebecca's Steampunk Clockface stencil on top, positioning it to include the corner with the small gears and the key element. 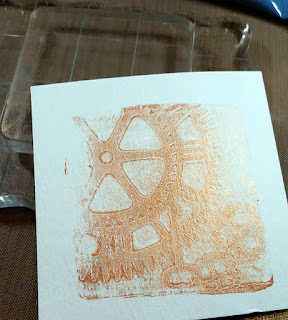 I covered it with a piece of white cardstock and rubbed the backside with my fingers before pulling back the cardstock to reveal the first print. You can see that the stencil basically acts as a mask and the print is a negative image. 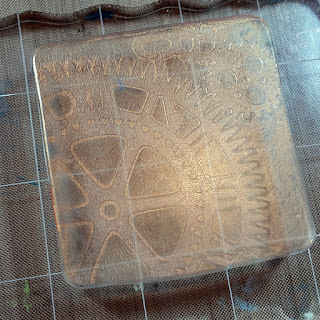 At this point I removed the stencil to reveal this delicately detailed image impressed into the remaining acrylic paint. 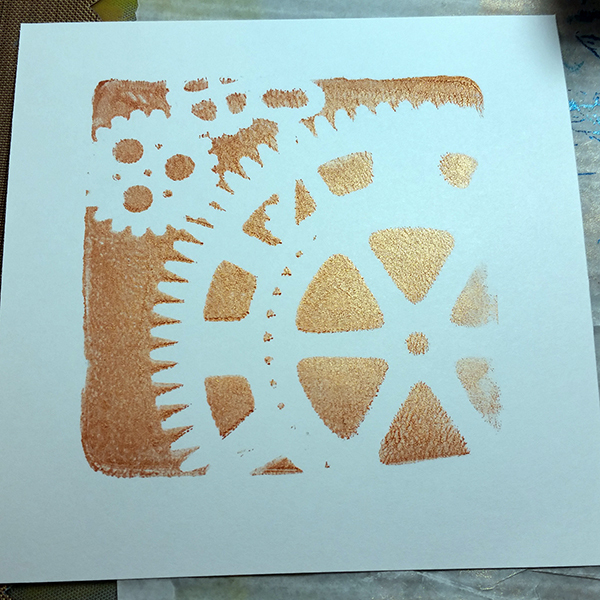 I covered it with another piece of white cardstock and rubbed the back before pulling this second beautiful print, which is referred to as a ghost print.